Many servers in Ontario and elsewhere are all too familiar with the problems of ‘tipping out’. Initially a practice used to ensure that hostesses, busboys and kitchen staff benefitted from great food and great service, ‘tipping out’ is slowly being used to benefit another party: the owner/franchisee. Servers already are paid less than minimum wage, with the idea that they make up for it in tips. Tips are intended to provide this extra income, and “balance the scales” so to speak. Tips are usually cash, and thus typically unaccounted for in terms of tax. Owners and franchisees have increasingly been taking advantage of this fact, and taking a cut of a server’s tips. This past April, NDP Finance Critic Michael Prue re-introduced a bill which sought to prevent owners, managers and other staff from taking a cut of a server’s tips. The bill was not passed, and this is not the first time it has been introduced to Parliament. In fact, Prue introduced it just three years ago, in 2010. There has been other legislative attempts surrounding the issue of tips. In fact, there was a bill introduced by Liberal party member David Caplan also in 2010 which sought to eliminate automatic tips on parties of six or more. The tipping issue is quite controversial and many demographics have decided where they stand. As an Employment Law firm, Monkhouse Law is interested in seeing ‘tipping out’ legislation established which deems it as an unfair practice. Servers are already undercut in terms of income. The practice of providing tips to owners and management is currently illegal in New York City, USA. Ontario should follow suit and protect these workers who are struggling with less than minimum wage from having their tips taken away from them. Generally the practice of ‘tipping out’ to managers and owners is frowned upon. 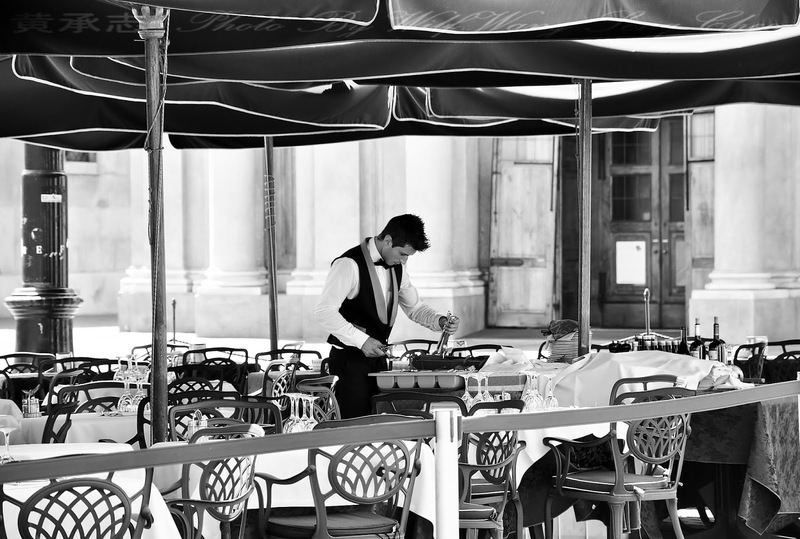 However, under the Employment Standards Act, 2000, tips do not count as ‘wages’ and therefore the Ministry of Labour (or “Labour Board”) cannot help employees who have their tips confiscated. Thus far the courts have yet to rule on if ‘tip out’ is legal in a common law context. Monkhouse Law is currently looking to challenge the practice in court. If you believe you have been exploited by the practice of ‘tipping out’ in being required to split your tips with a manager or owner, contact Monkhouse Law today. Such practices are typically not supported by the courts and it is beneficial to consult an Employment Lawyer to see what options are available for you.